The LPC11U14FBD48 is a ARM Cortex-M0 based, low-cost 32-bit MCU, designed for 8/16-bit microcontroller applications, offering performance, low power, simple instruction set and memory addressing together with reduced code size compared to existing 8/16-bit architectures. 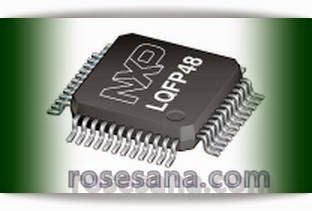 The LPC11U14FBD48 operates at CPU frequencies of up to 50 MHz. The peripheral complement of the LPC11U14FBD48 includes up to 32 kB of flash memory, 6 kB of SRAM data memory, a highly flexible and configurable Full Speed USB 2.0 device controller, one Fast-mode Plus I2C-bus interface, one RS-485/EIA-485 USART with support for synchronous mode and smart card interface, one SSP interface, four general purpose counter/timers, a 10-bit ADC, and up to 40 general purpose I/O pins.